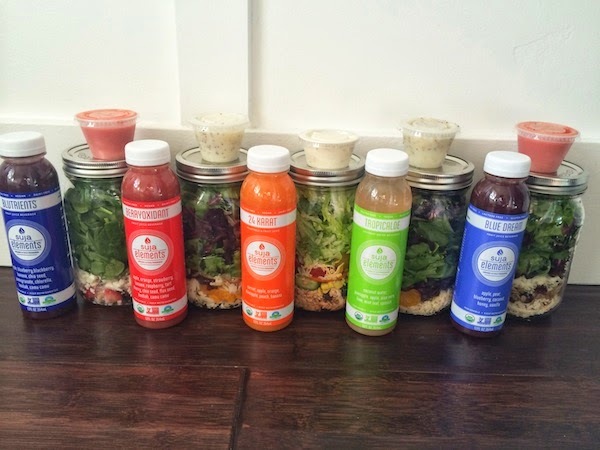 Robyn Vilate: salads and suja. yay for spring, warm weather and a fresh kickoff to getting healthy again! i seem to go through spurts where i will eat really healthy and workout pretty regularly, then i'll go out of town or something will throw off my schedule and all of a sudden the workouts and eating healthy suffer due to being busy and not having the time to cook and take good care of myself! well, i've found a few new things that can help me even through those busy weeks! i found a fantastic company called the salad masons here locally, where you can purchase pre-made salads made in mason jars that last up to two weeks in the fridge! i have seen the idea on pinterest before but never have the time to make and store everything myself, so when i realized i could buy these pre-made salads ahead of time and have them on hand it was a guarantee to eat healthier and have a quick meal ready for me anytime! the salad masons include the dressings (and have their own homemade dressings which are fantastic!) and you can even get these delivered to your door! since i get quite a few questions about how and what i eat i figured i would share this quick post with you to let you know about a few new fun things i'm trying (and loving!) so far! 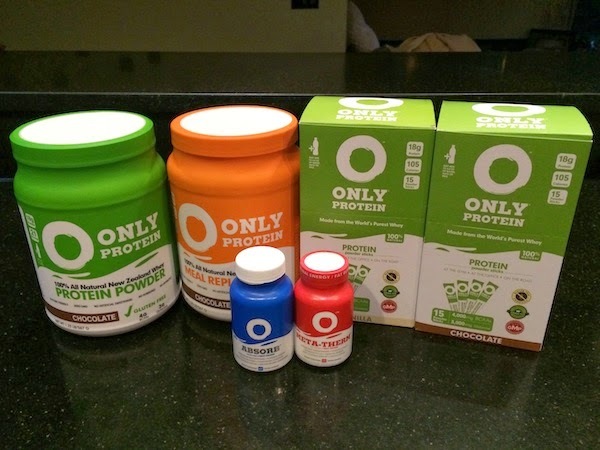 i also still love my onlyprotein for a pre and post workout drink or a breakfast replacement. the chocolate with one banana, a tablespoon of peanut butter, almond milk and ice is kind of to die for! you can find the salad masons here, onlyprotein here and suja elements at your local whole foods! Love your Tory Burch shoes! Wish we could order the salad masons around where I lived!